Chalet Rosanna Ski AccommodationAll bedrooms and bathrooms are modern and extremely comfortable. 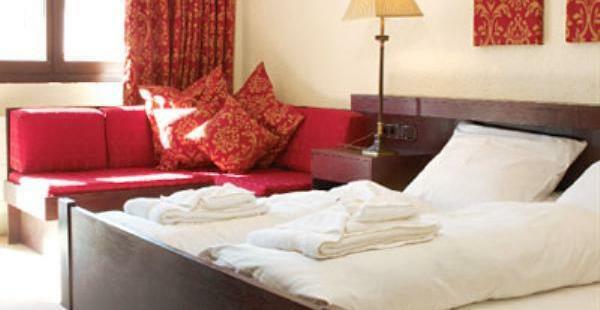 Bedrooms are made up of twins or Austrian twins, and are a good size with ensuite bathrooms and cable TV. Most bedrooms have sunny balconies.There are a total of 39 rooms comprising of;Twin – 2 single beds, some with sofa bed, some take an extra bed. All en-suite.Austrian twin – Austrian twin (double base with 2 single mattresses), some have a sofa bed. All en-suite.Dining at Chalet Hotel RosannaOn the ground floor there’s a spacious dining room and comfy lounge with bar. Right next door is Scotty’s Bar & Pizzeria with lively apres ski atmosphere. Meals in Mark Warner restaurant are always hearty and plentiful and the daily menu has plenty of choice. Full English breakfasts make a great start to a day on the slopes, and Mark Warner delicious tea at the end of the day are well received.Adults OnlyNo children under the age of 18 year except during school holiday periods when children 7 years upwards are welcome.The chalethotel Rosanna is the perfect Austrian ski holiday spot for adults, situated right in the middle of the town, a short walk from the lifts. Close by you will find apres ski bars, shops, restaurants and lively nightlife.